Dubai, UAE, August 05, 2018: A selfie isn't just like any other picture. In a deeper, truer sense though, a selfie is a reflection of a moment in time of one’s life journey. In an era when we're constantly being marketed technologies that promise to make our lives easier and save us time by doing the work for us, the selfie is a major contradiction. From angling, adjusting, endless retakes, editing, and filtering – let's face it, taking a perfect selfie is a lot of work! Each of us is passionate with our own unique talent, energy and beauty, and Artificial intelligence selfie is a meaningful way for us to proactively share that with the world. With an extraordinary new perspective, HUAWEI nova 3 series is set to change the way selfies are taken. The innovative Artificial Intelligence (AI)-powered device shows-off dual front-facing cameras with a 24MP primary sensor and a 2MP sensor. Gone are the days of smartphone makers marketing higher pixel counts and in-built filters to make your selfies stand out. What users really, truly want is a phone that will be intelligent enough to do the work for them. A camera that won't just blur a background but will showcase subject and ambience in perfect harmony to express the true meaning of a person's selfie story. Unlike other smartphones where the front camera is low-pixelated and only focuses on the subject's face while neglecting the ambience of the background setting, Huawei's AI-powered camera is designed to capture details with the primary lens. The latter will then capture depth to produce stunning, authentic bokeh effects to showcase the best of you and your surroundings. From blue skies to sunny beaches, lush plants, starry nights, and even the magic of stage lights during performances, the front camera is enabled to recognize more than 200 different scenarios of eight categories. Most importantly, imagine the time and effort saved from never having to edit and filter a photo again. That's the true purpose an AI powered device after all. Huawei's intuitive devices are powered with AI beautification algorithms that take into consideration how people around the world perceive beauty and apply a different set of adjustments to skin tones and facial details by age and gender to accentuate contours and conceal imperfections. The third-generation intelligent device also supports real-time High Definition Range (HDR) footage preview and recording, in addition to studio-quality lighting options. Meanwhile, it accurately maps the five facial features of a subject and develop a 3D model in order to identify areas that require additional lighting or beautification. This would also work well with 3D Qmoji, a fun feature that digitally transposes the face of a user onto a digital avatar. 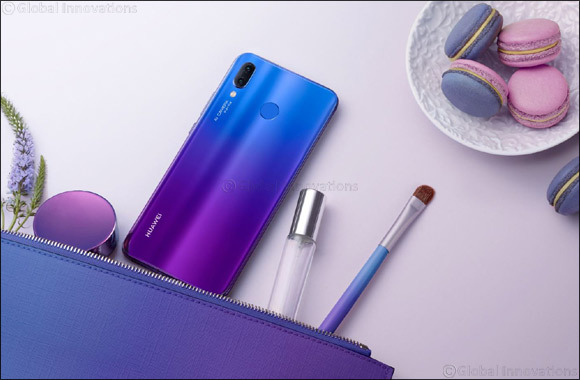 Huawei has always been committed to unlocking people’s potential through technology and more so with the launch of HUAWEI nova 3 and HUWAEI nova 3i, which help consumers capture timeless memories through the most stunning digital record of both face and surroundings with its dual front and rear camera, its AI Beautification algorithms, it’s high-light sensitivity for HDR pictures, while adding quirky emojis to make it a fun experience. Whether you're an amateur or an expert, the HUAWEI nova 3 series presents itself as an AI-powered camera that helps you customize your selfies to create your own definition of beauty. For those who see mobile phones as essential tools for self-expression, the sun has set on smartphone selfies. Phones without AI will soon become a thing of the past. Prepare to bid goodbye to the old and get set to upgrade your expression with the dawn of the HUAWEI’s nova 3 series, which are making the AI super selfie the new trend.